Female red grouse - the moors of the peak district are just starting to turn purple now. 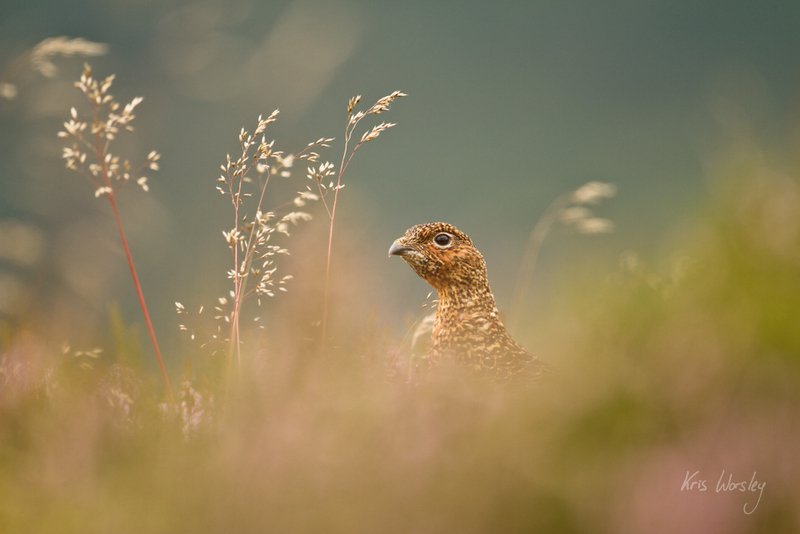 It’s not a great year for red grouse. Reports that their numbers are down due to bad weather earlier in the year are certainly playing out in my experience. Meanwhile, those grouse I have been able to find have been a great deal more timid and difficult to approach than usual. I’ve had two grouse trips in the last few weeks alone, and two more planned, and I’ve come away with only one photograph (usually I can expect several hundred from a single trip). But the moors of the peak district are as fine as ever (there are many, many other things to photograph up there), and the heather is just starting to turn purple now – this is a time of year which I find really exciting.